The official weigh-ins for “UFC 214: Cormier vs. Jones 2” take place Friday morning in Anaheim, California. All of the fighters’ official weights have already been registered, as the UFC once again conducted an early weigh-ins for this event. However, if you can stream the ceremonial weigh-ins live right here on 5thRound.com starting at 8PM ET/5PM PT. 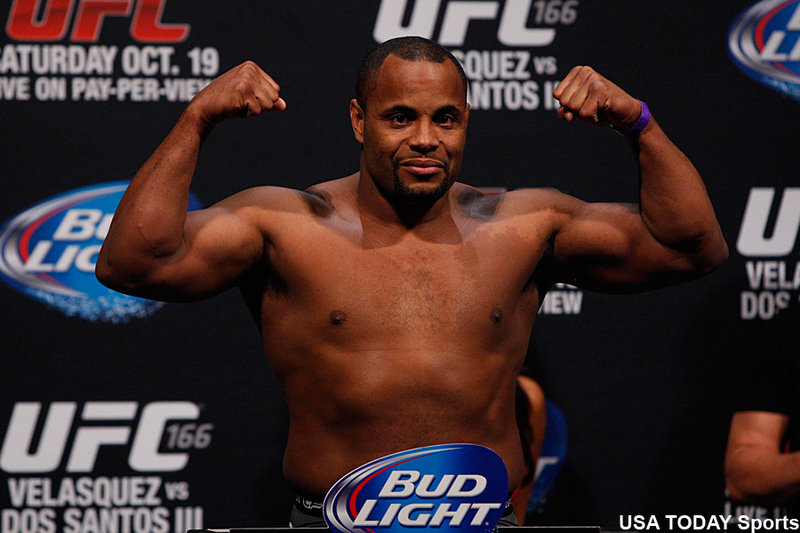 Light heavyweight champion Daniel Cormier (pictured) needed the assistance of a towel to make weight, but there was no towel-gate controversy this time around. Cormier clocked 205 pounds on the dot. In his last outing, Cormier needed multiple attempts to hit the 205 pound maximum. Some accused Cormier of cheating by pressing down on the towel to make himself lighter in order to qualify. Challenger and former light heavyweight champ Jon Jones came in at 204.5 pounds. Cormier looks to avenge his 2015 unanimous decision defeat to Jones in Saturday’s featured attraction, while Jones seeks to reclaim the throne he never lost inside the cage. The co-main event is also official. Welterweight champ Tyron Woodley and Demian Maia both hit 170 pounds on the scale. Same goes for Tonya Evinger and Cristiane “Cyborg” Justino, who each notched 145 pounds on the scale for their women’s featherweight title tilt. UFC 214 goes down inside Honda Center in Anaheim, California.